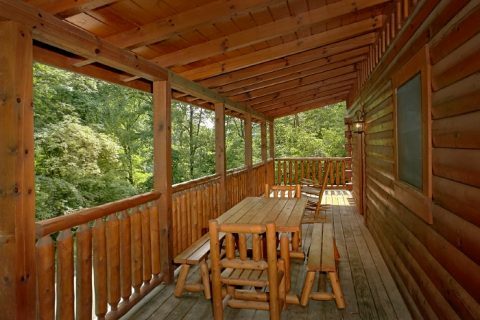 Come stay at this Log Cabin near Dollywood, which offers vacationers excellent cabin amenities and a location near all the sights and sounds of the Smokies. 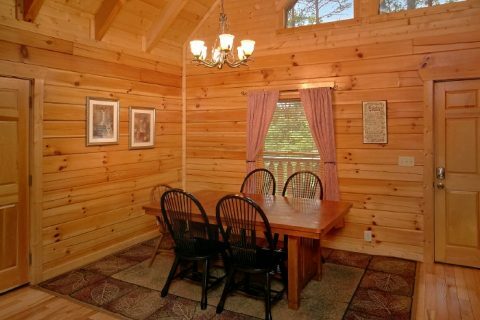 With a hot tub, game room, fireplace, and more, there are more than enough features to allow you to relax and unwind on your cabin stay. 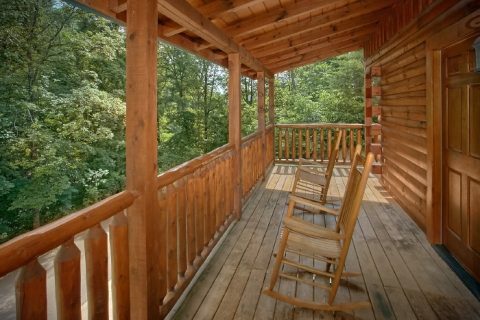 Additionally, your convenient location places you near all the excitement of the Smoky Mountains. 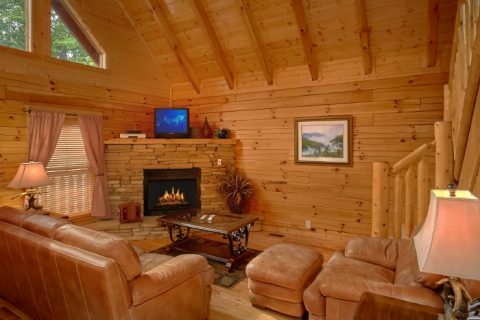 With the best of both worlds, your cabin allows you to enjoy everything you want to see and do in the Smokies. From the exciting thrill rides of Dollywood to entertaining dinner shows, outlet shopping to outdoor adventures, you'll be near all the action of the Smokies. 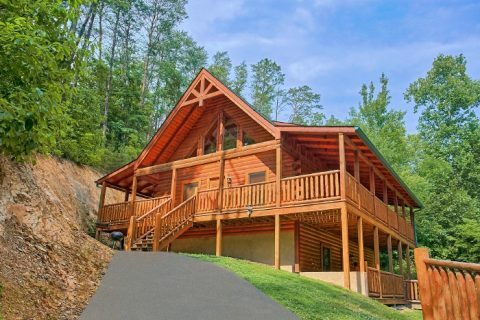 While the large selection of attractions is a big draw to staying at this cabin, there's much to love back at this 3 level Pigeon Forge cabin that sleeps 6. 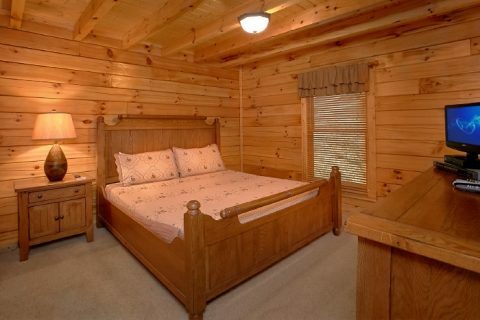 With 3 king beds, everyone can enjoy a peaceful night's rest in the mountains. Your cabin's 4 bathrooms offer your family plenty of room to prepare for unforgettable Smoky Mountains adventures. 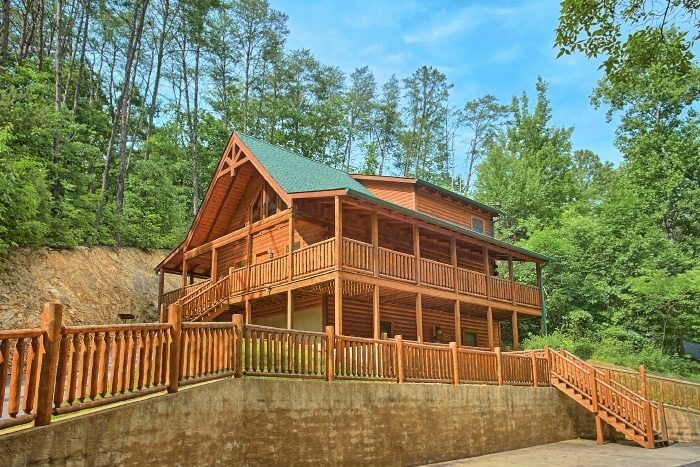 Your cabin also offers plenty of entertainment options in your 3-bedroom Pigeon Forge cabin. The living room with an inviting, seasonal gas fireplace offers a great space enjoy the company and conversation of your loved ones. 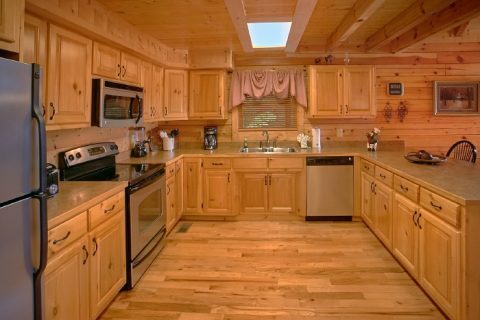 This cabin's kitchen allows you to prepare delicious meals together. Enjoy your fresh food and great conversation around the dining table. 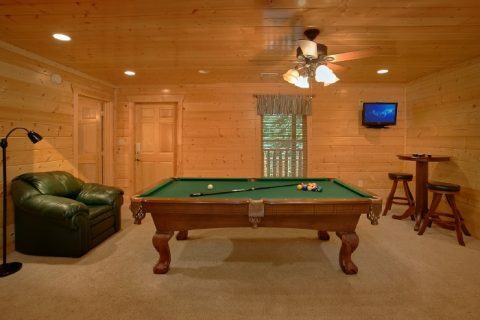 After dinner, host a family tournament at the pool table in the game room. 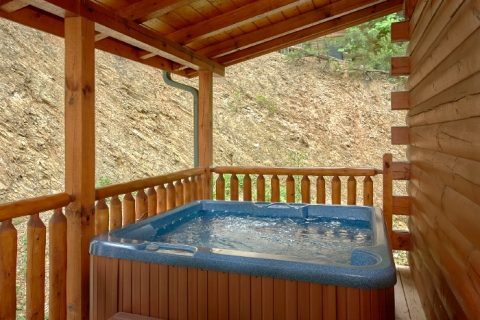 Your cabin invites you to take in beautiful mountain scenery and wooded mountain views that surround your cabin with its relaxing hot tub. 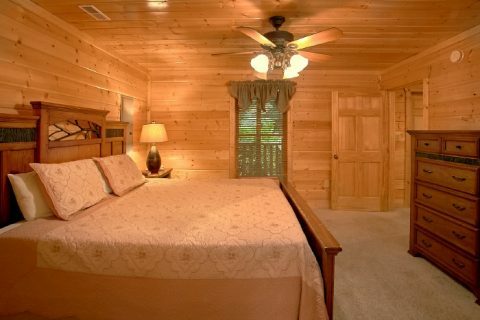 Additionally, "Dew Drop Inn" rests near "Luck Logs Lodge" for guests who want more cabin lodgings for a group vacation to remember. 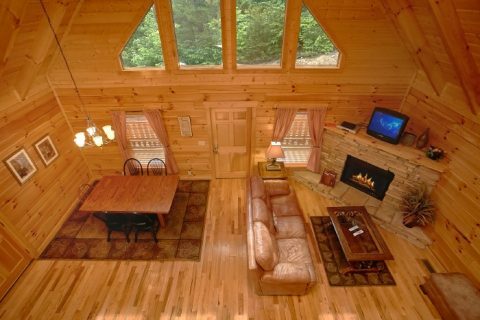 When you book this log cabin near Dollywood with Cabins USA, you get an immediate 15% online booking discount. Plan your unforgettable mountain vacation today!